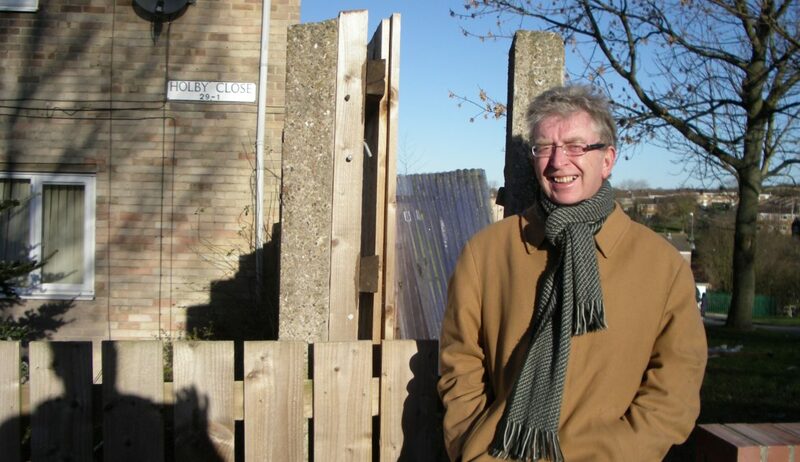 Councillor Alan Clark has a proud history of service to Nottingham. 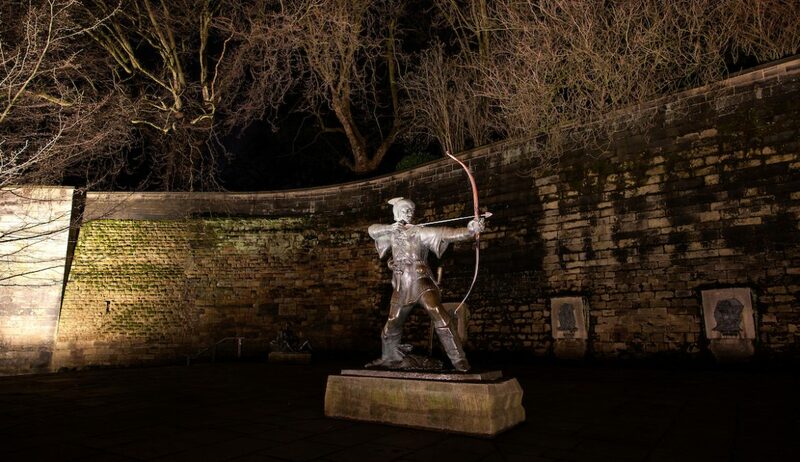 He was pivotal in establishing Robin Hood Energy, the first council-owned, not-for-profit energy company that aimed to provide the cheapest possible energy to Nottingham residents, and for the fitting of thousands of solar panels to Nottingham homes. 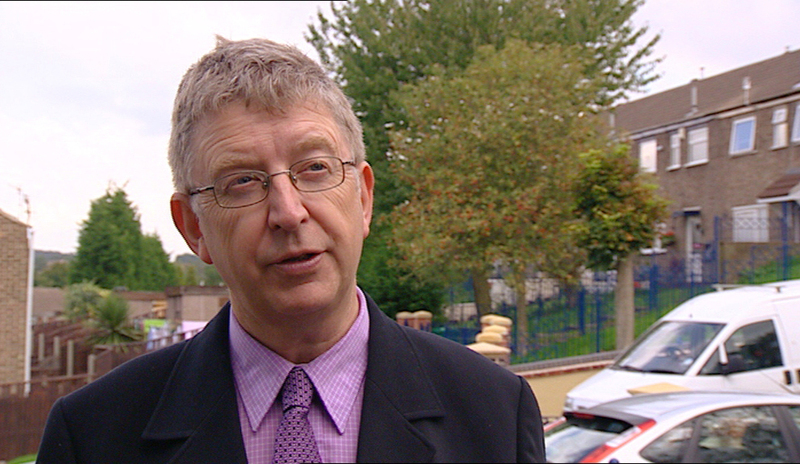 Alan was also instrumental in drawing up the Nottingham Declaration, an agreement signed in 2000 by over 300 councils that signalled a political commitment to tackle climate change – a breakthrough at the time. 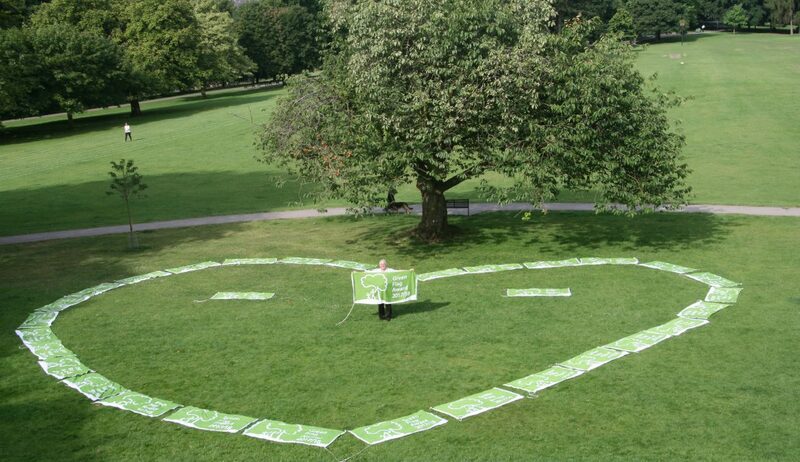 Alan’s biggest legacy has been making Nottingham one of the greenest cities in the UK; however the impact he had on his community was far reaching. At a local level, Alan helped 100’s of his constituents from when he was first elected in 1988. 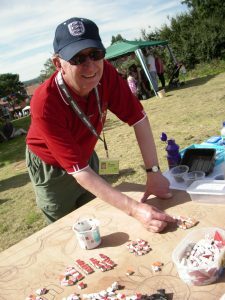 Alan was loved and respected by individuals and community groups in Bulwell, Top Valley, Rise Park, Highbury Vale and the surrounding areas. He was also particularly committed to ensuring local children had the best start in life and was a governor for 3 local schools; serving as Chair of Governors for Southwold Primary for 30 years. 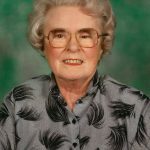 The funeral service for Councillor Clark was held at St Mary’s The Virgin Church, Lace Market this morning (14th August) and was very well attended. Council staff, Labour Party colleagues and members of the community joined Alan’s close friends and family for the service. Our thoughts are with Alan’s family and friends at this time, particularly his wife, Councillor Eunice Campbell. He will be greatly missed by his colleagues and comrades of the Labour Party. 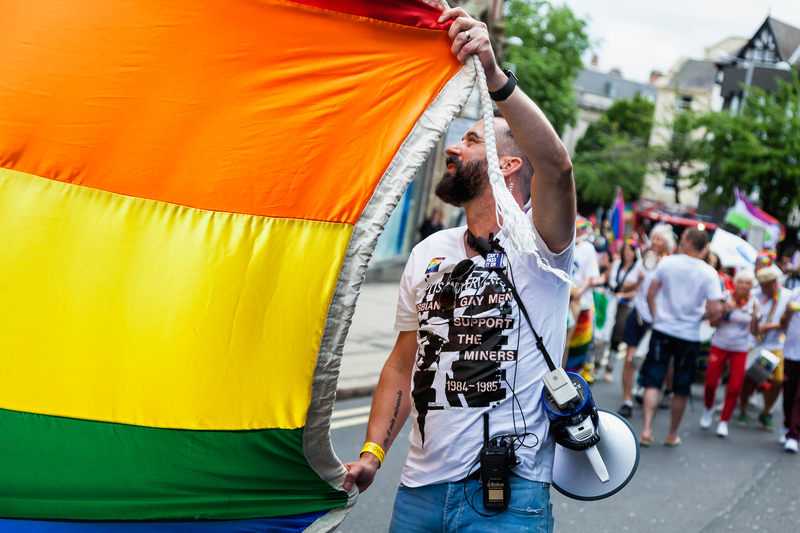 In the 50th year since the decriminalisation of homosexuality in England, people from across Nottinghamshire came together to celebrate Pride and show support to the LGBT community. 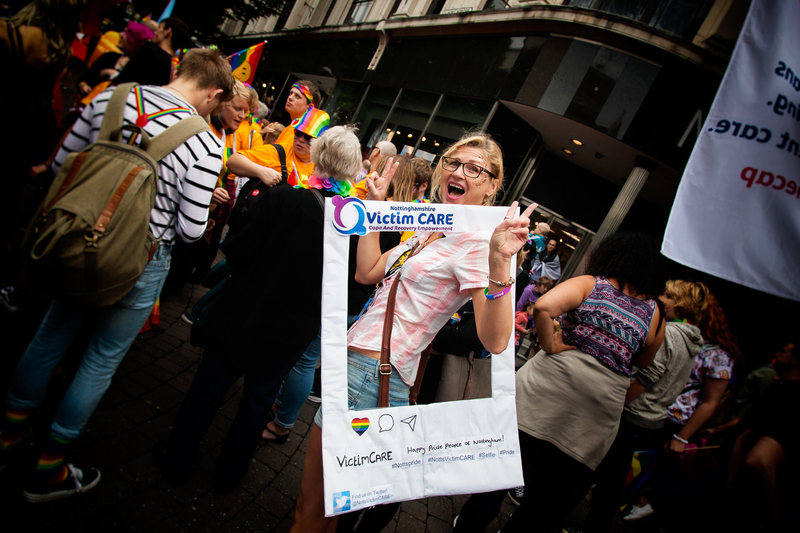 The event took place on Saturday 29th July 2017 in various venues in Hockley and around the city centre. 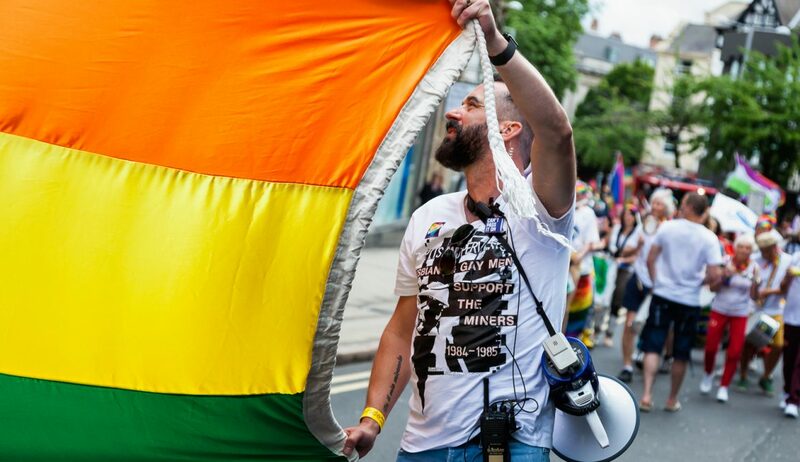 It was estimated to have been the biggest Nottinghamshire Pride ever. 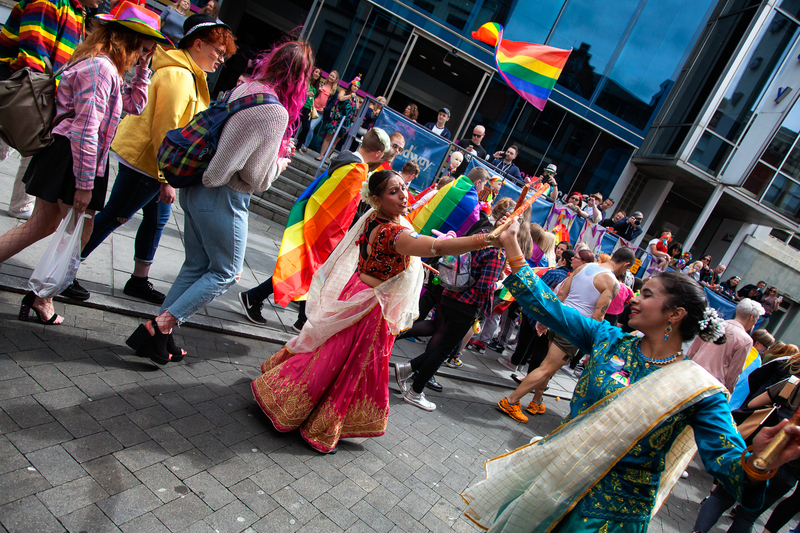 Over 7,000 people took part in the parade and many more engaged with events across the city. Amongst the street performers and bands, there was also a Nottingham City Transport bus. 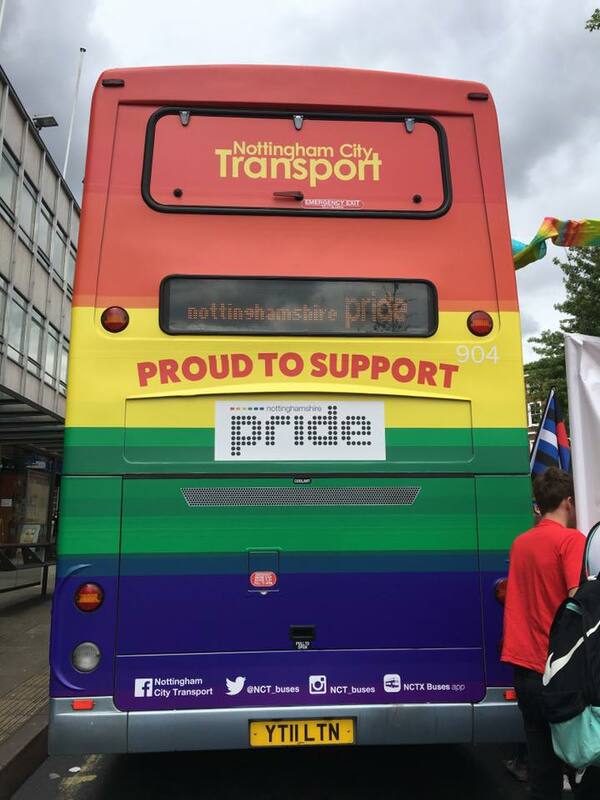 It was painted in a rainbow livery for the occasion. 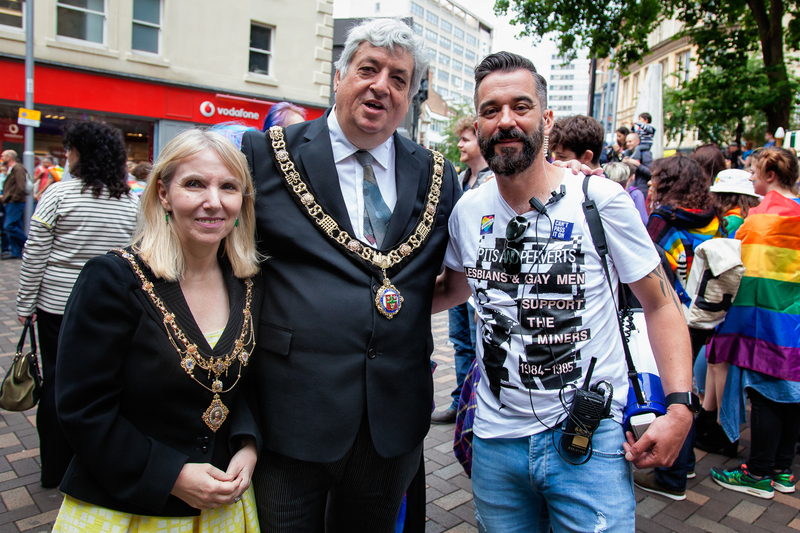 The Labour Party has a proud history of supporting LGBT equality and many Nottingham Labour Councillors attended the parade to show their support. Nottingham Labour also had a stall at the event. 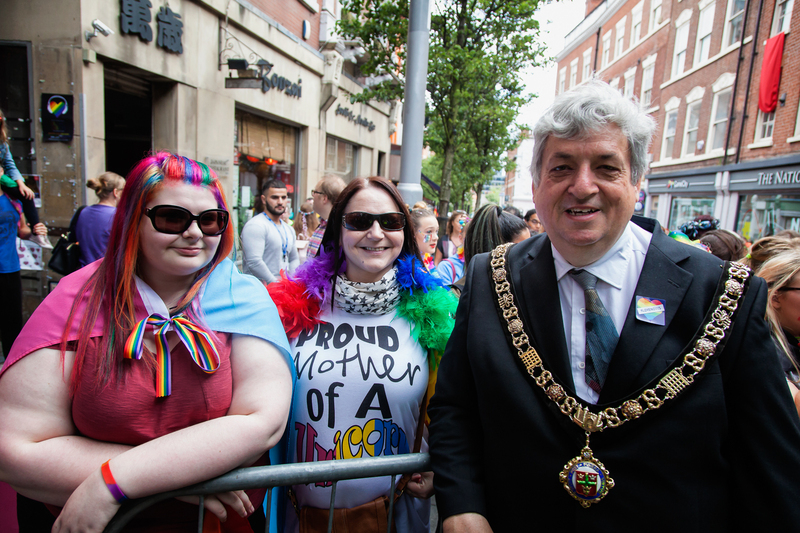 Pride continues to go from strength to strength and next year’s event promises to be even more successful. Nottingham’s parks and open spaces have received national recognition by achieving 56 Green Flag Awards. 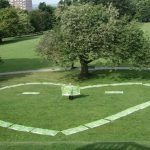 The awards are given by environmental charity Keep Britain Tidy to parks that have the highest possible environmental standards, are beautifully maintained, have excellent visitor facilities and are regarded as one of the best parks in the country. 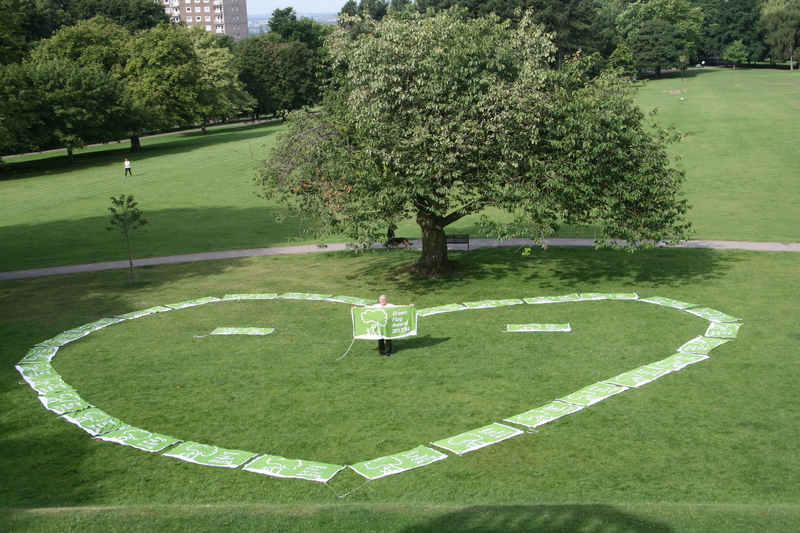 Three additional parks achieved green flag status this year, making Nottingham the City Council with the highest number in the UK. 18 sites received Green Flag Community Awards and are managed by local community groups; they include the City Hospital Garden, St Ann’s Community Orchard and Meadows Library Garden. There has been extensive cuts from central government funding, however 77 play areas have been improved in Nottingham since 2010. £36 million of external funding has been achieved since 2007. Thanks to work from volunteers and parks staff, a massive 96% of residents are satisfied with parks and open spaces. 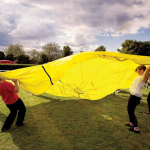 To find a Green Flag Park near you click here, or to find out what’s on in Nottingham during the summer holidays, click here. 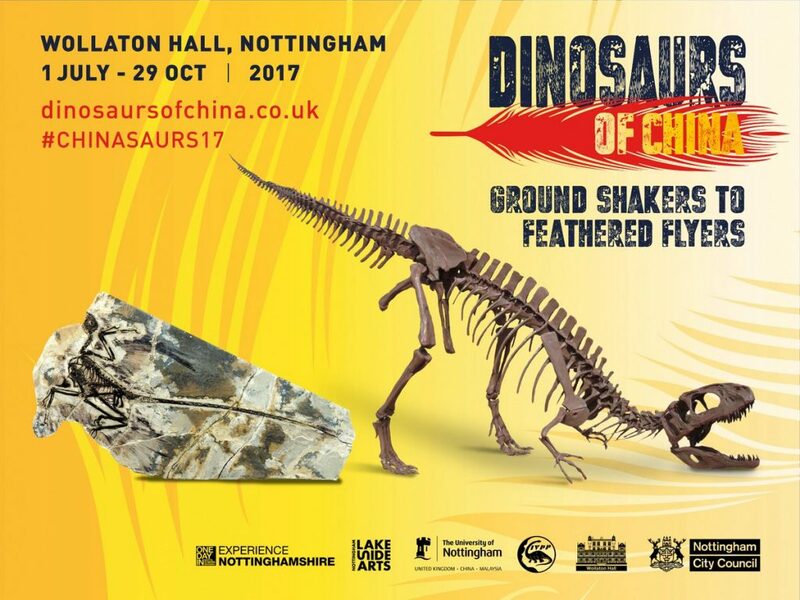 Nottingham has a range of free and cheap activities for all ages to enjoy this summer, from the Beach in Old Market Square to the Dinosaurs of China Exhibition at Wollaton Hall. There will also be lots of local events going on in different neighbourhoods across the city. In Basford, Stockhill and Vernon parks have already held events. 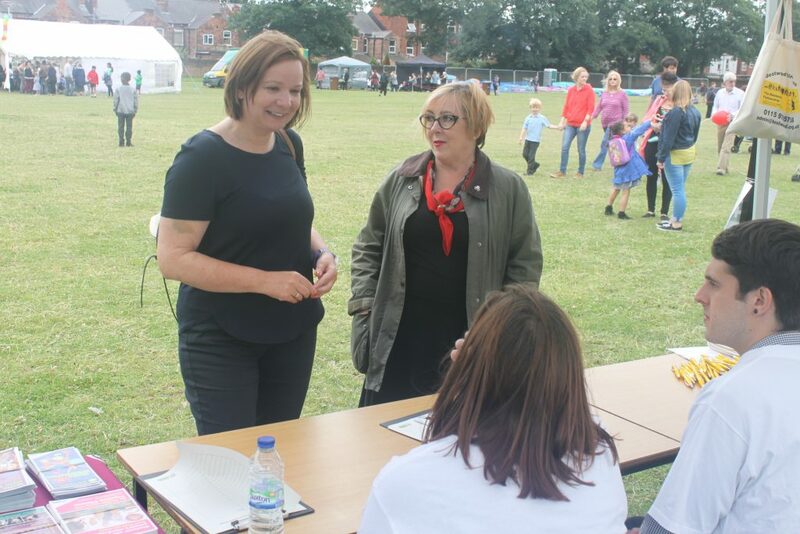 Whitemoor and Brooklyn parks will also be hosting Summer Fun Days, with local Labour Councillors lending their support and funding. 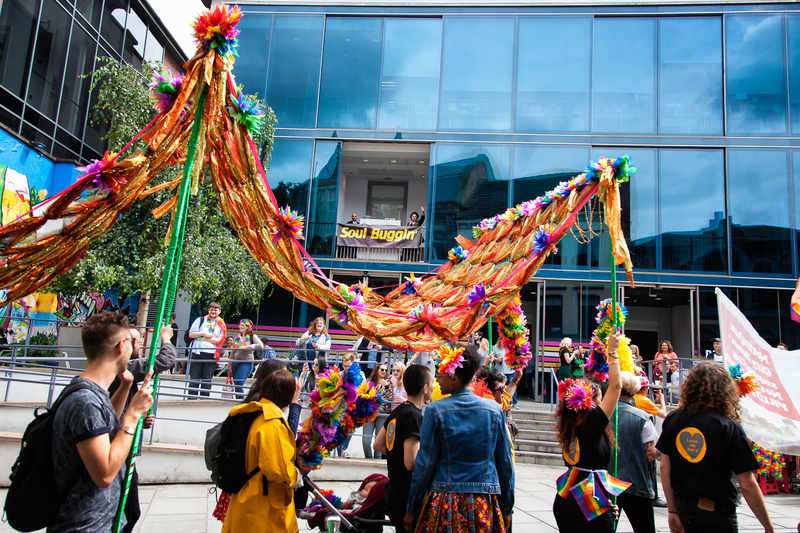 Each event will include a wide range of activities for residents of all ages to enjoy, from arts and crafts, storytelling, sports activities and live music from local groups. They will be attended by our emergency services and community protection officers. Local Councillors will also be available to hear any resident’s concerns. 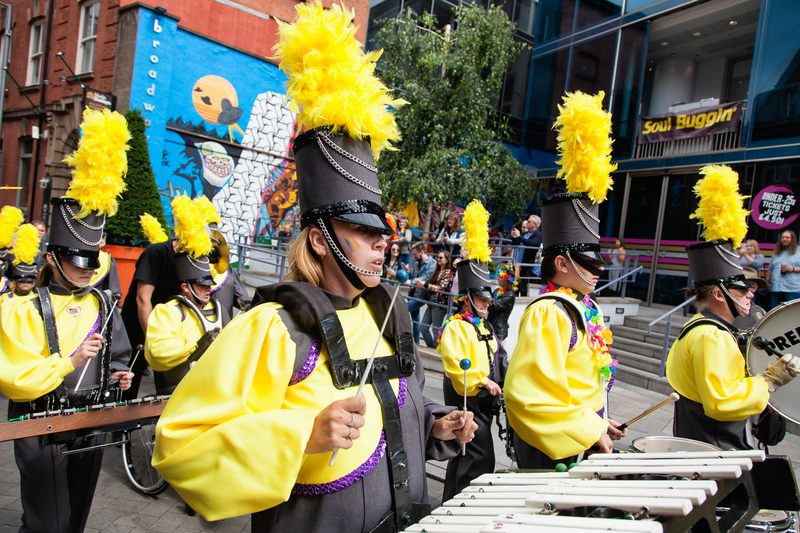 Find out what’s on in Nottingham this summer by clicking here. By announcing the launch of the Nottingham and Derby Metro Strategy 2030 in May, the two cities and their councils have made a commitment to work more closely together for the benefit of the whole area and its residents. The aim of the strategy is to bring together resources and make the region an exciting place to live, work and place by 2030. Last week, the two Labour led Councils announced a Gym and Swim membership offer, meaning that residents with gym and swim membership in one city will also be able to use facilities in the other city at no extra cost. 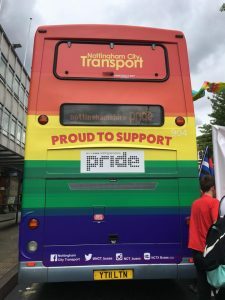 Another benefit for residents of both cities includes a £1 discount on Trentbarton buses to travel to events such as Splendour in Nottingham or the Hannells Darley Park Concert in Derby this summer. For more information on the gym and swim offer, please click here. In the Labour Manifesto that was launched on Tuesday 16th May, the party outlined the ambition to ‘Support the creation of publicly owned, locally accountable energy companies and co-operatives to rival existing private energy suppliers’. This commitment follows the launch of Robin Hood Energy in 2015, a not for profit energy company that was brought to fruition by Nottingham Labour Councillors. The company provides a discounted rate of energy for City residents and provides strong competition to the ‘Big 6’. 1000’s of city residents have benefited from switching to Robin Hood Energy and the company has made positive steps in combatting fuel poverty, something that affects one in ten households across the UK. The Labour manifesto highlights that energy customers in the UK are overcharged by £2 billion per year, however regionally based, accountable and not for profit energy suppliers such as Robin Hood Energy would ensure that residents are not being unfairly and unnecessarily charged. Leader of Nottingham City Council, Councillor Jon Collins said ‘Robin Hood Energy is an example of how fuel poverty can be tackled and how setting up not for profit energy companies, at a local level, can give people an alternative to the big 6. The Conservative manifesto does not support locally owned energy companies that are not for profit, instead they are content with people all over the UK being overcharged by huge multi-national corporations. Labour has shown ambition to drive energy prices down and end fuel poverty for people all over the UK, both locally and nationally. Under new government proposals, Nottingham schools are set to lose over £22 million by 2020, whilst schools in some of the wealthiest areas of England are set to gain. In Sherwood, schools are set to see funding reduced by over £520,000, an average of £467 less per pupil. That is why Nottingham Labour is against the proposed cuts and asked parents to take part in a consultation. The results were forwarded to the Government. Over 4500 parents told us that they thought the cuts were unfair and would be damaging to their child’s education. 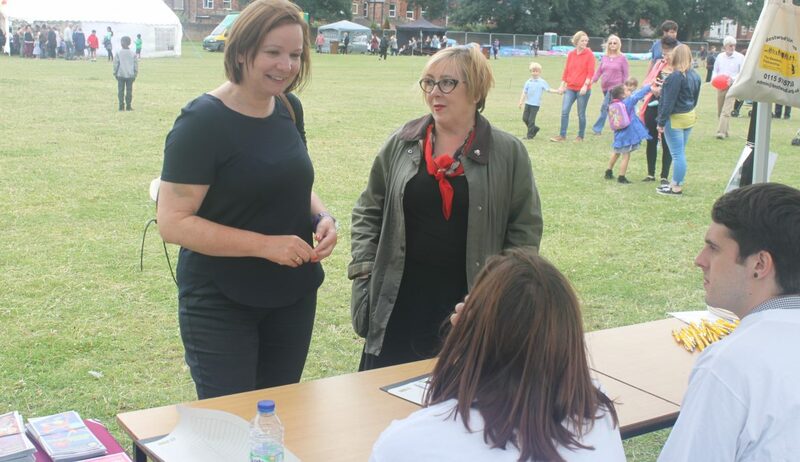 In Sherwood, Labour Councillors spoke with parents and encouraged them to take part in consultations. 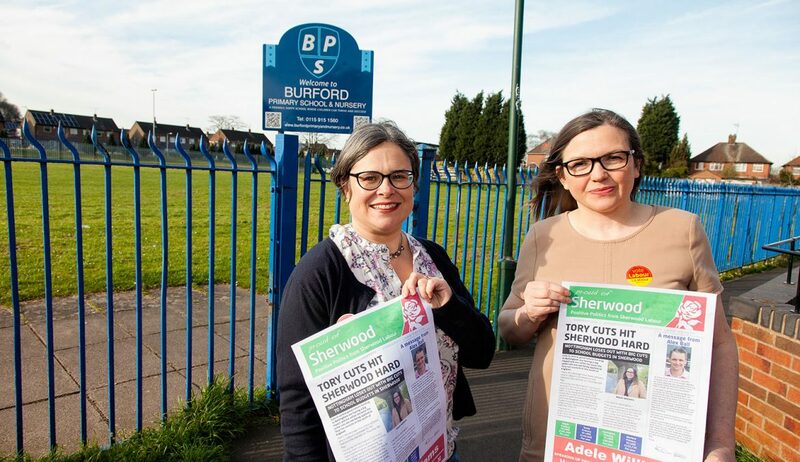 Your Nottingham Labour Councillors will continue to fight to stop Conservative cuts and ensure that Nottingham children receive the good standard of education they deserve. Nottingham Labour Councillors and MP’s have written to the Department for Education expressing the views of parents and opposing cuts. 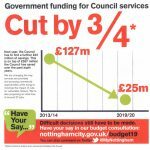 Sherwood Councillors will continue to campaign against these cuts and fight for additional funding in Sherwood schools. 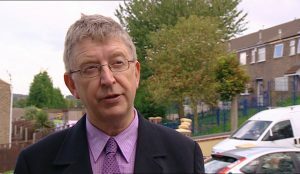 Portfolio Holder for Education, Employment and Skills, Councillor Sam Webster said, “These budget cuts will mean cuts to important aspects of school life. Faced with reducing funds, schools in Nottingham will have to reduce services. Last week, work began to fit solar panels to the roof of Loxley House, the main offices of Nottingham City Council. In total, the project will see over 200 Solar PV panels fitted on the Loxley House rooftop and will be installed and managed by our own workforce. The panels will produce a large amount of green energy that can be used by Nottingham City Council and will ensure a return on the investment to install them. This is another example of Nottingham Labour being committed to an increase in green energy usage and cut carbon emissions. 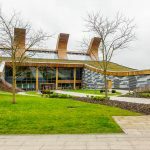 In 2016, Nottingham City Council smashed climate change targets and achieved a 33% reduction in carbon emissions, beating a target of 26% by 2020. 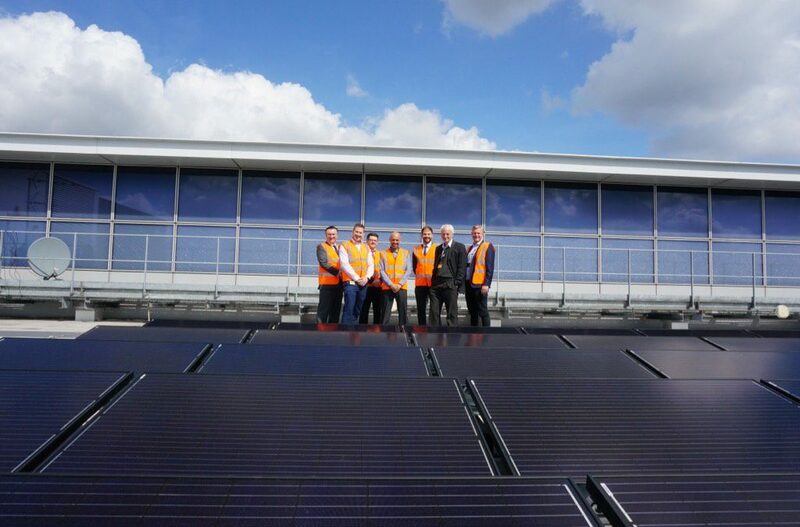 This increased effort to reduce emissions is aided by projects such as the installation of solar panels at Loxley House and will allow the council to continue to reduce its carbon footprint. Nottingham Labour has also led the council to increase green energy usage in a number of other ways, such as investing in a new fleet of electric buses and also Leader of the Council, Councillor Jon Collins has signed up to UK100 – a commitment alongside several other UK towns and cities to ensure that Nottingham has 100% clean energy usage by 2050. Nottingham Labour is delivering on its green energy commitments and will make sure that Nottingham continues to take big steps to reduce its carbon footprint and promote green energy. Nottingham Labour has all the right policies in place for our green future, such as the Nottingham Community Climate Change Strategy 2012-2020 and our commitments to Climate Local, the Nottingham Declaration, UK100 and a pledge to end fuel poverty. We have a lot of programmes underway with existing funding. Through Salix interest-free loans we have spent over £2m on energy efficiency on our buildings since 2009, saving £500, 000 a year and 4.5T of CO2. We have used Government funding (HNDU) to pay for various feasibility and mapping studies to look at projects to expand or make more efficient the district heating scheme that should progress in the next few months. 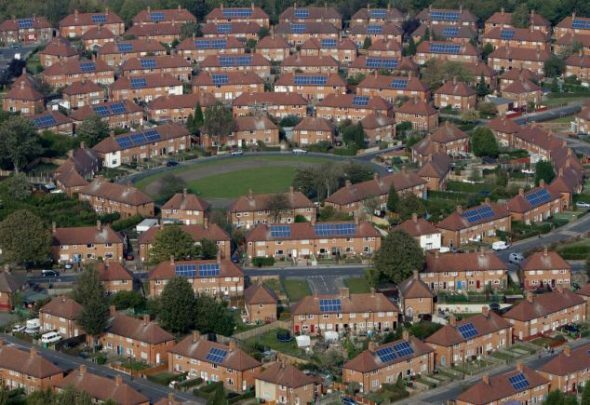 Horizon 2020 (EU) funding has triggered the REMOURBAN programme of smart cities measures including deep retrofits (energy efficiency, generation, and storage) of 366 homes worth £5.5m (about 50% matched by tenants’ money). The Big Six ECO scheme has enabled around 6000 homes to be fitted with external wall insulation – about 4000 social houses and 2000 private. Match funding came from the rent account and Green Deal for Communities Fund. We used Feed In Tariffs to fit 4000 homes with solar panels before the tariff dropped dramatically. We have an Ultra Low Emission Vehicles programme (Government funding) for £6m of work on electric buses, rolling out electric car chargers, and helping businesses to switch fleet to electric. But many of these funding streams have been stopped, reduced or will be withdrawn. What we now need are clear proposals from Government on future funding. We can make most schemes work, and would not invest unless we make a long-term saving, but we need certainty and stability of schemes. It takes time to train a workforce in some of these skills (fitting solar panels, installing solid wall insulation and so on), and so many young people, nationwide, have been let down by training in a skill that is still needed but that people can no longer afford. Our next set of schemes is ready, we can flex our priorities to meet Government targets, but we must ask what are their priorities now? Our priorities are clear. We want to lift residents out of fuel poverty when the figures are moving relentlessly the other way. 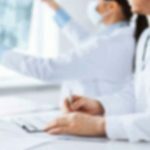 We want to attract whatever funding is available. We want to engage with local communities. Will there be energy proposals from Phillip Hammond in his Spring Budget? I wonder. Over the past year, Nottingham Works has helped hundreds of young people into work or training places. The programme, that is funded in partnership between Nottingham City Council and the European Union, provides mentoring for 18-29 year olds who are unemployed, Traineeships for 16-24 year olds and general careers support and guidance. 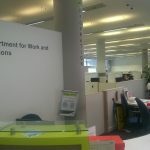 The scheme also offers financial support to employers who create jobs for young people. 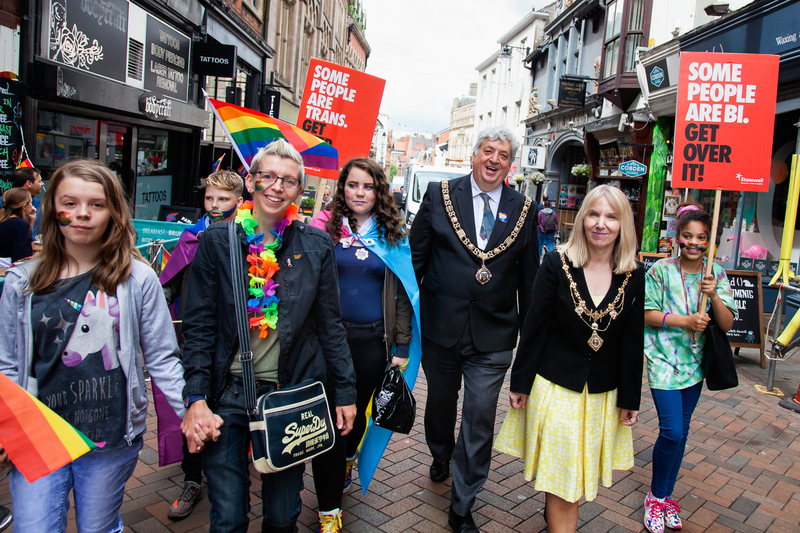 Nottingham Labour made a manifesto commitment in 2015 to guarantee a job, training place or further education place for every 18-24 year old in the city; that is why Nottingham City Council and Labour Councillors secured the £6.9 million in EU funding to make this project possible. 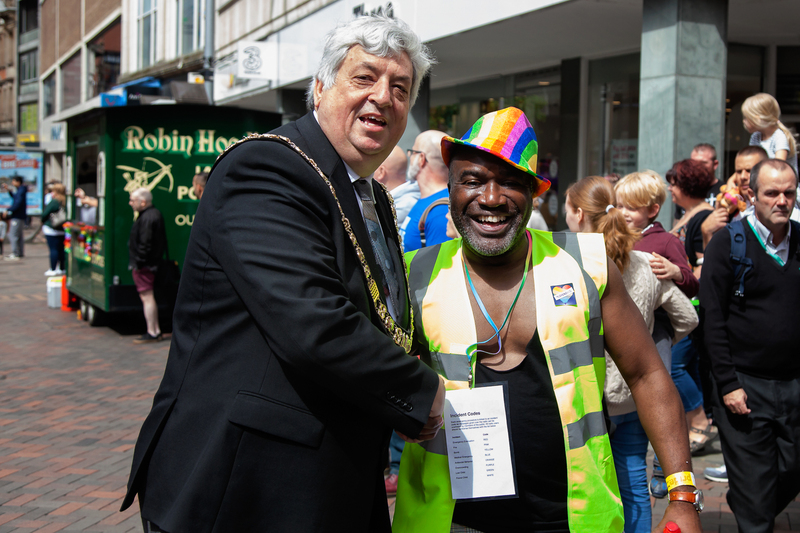 In addition to supporting projects such as Nottingham Works, Nottingham Labour has helped to ensure that all entry level jobs and training places at Nottingham City Council are only available for city residents. 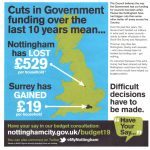 If you would like more information or to see what support is available to you, please visit the Nottingham Jobs or Nottingham City Council website. Councillor Sam Webster, Portfolio Holder for Education, Employment and Skills.